This is a pioneering leadership program that is jointly established by a leading Venture Capital/Private Equity firm and a top business school. Global and multidisciplinary in its nature, this unique program is designed to help the next generation of entrepreneurs become successful global business leaders. Faculty will include Professor Zhiwu Chen and other faculty members from the Yale School of Management, and participants will be awarded a certificate of completion from the Yale School of Management (SOM). The inaugural program participants are selected exclusively from a group of founders, CEOs and top executives at Sequoia Capital China's portfolio companies. 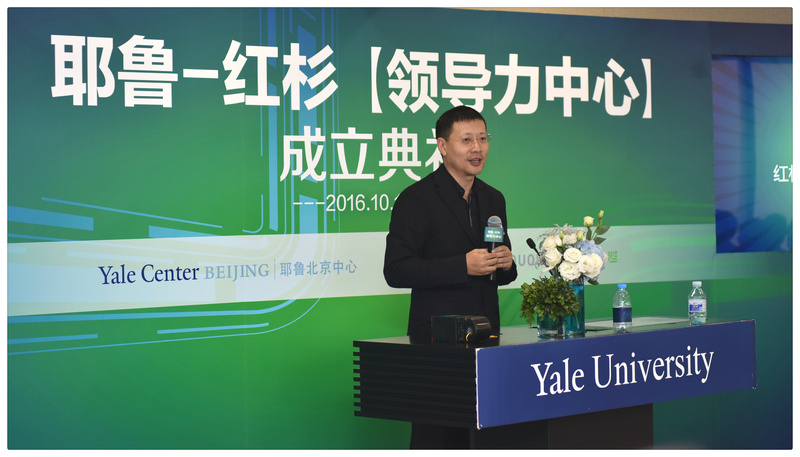 In October 2016, Sequoia Capital China, Yale School of Management (SOM) and Yale Center Beijing launches its joint Leadership Program, holding a ceremony to mark the occasion. As China's first leadership program that is jointed established by a Venture Capital/Private Equity firm and a top global business school, the program is designed to cultivate and promote entrepreneurial leadership through new entrepreneurship classes. 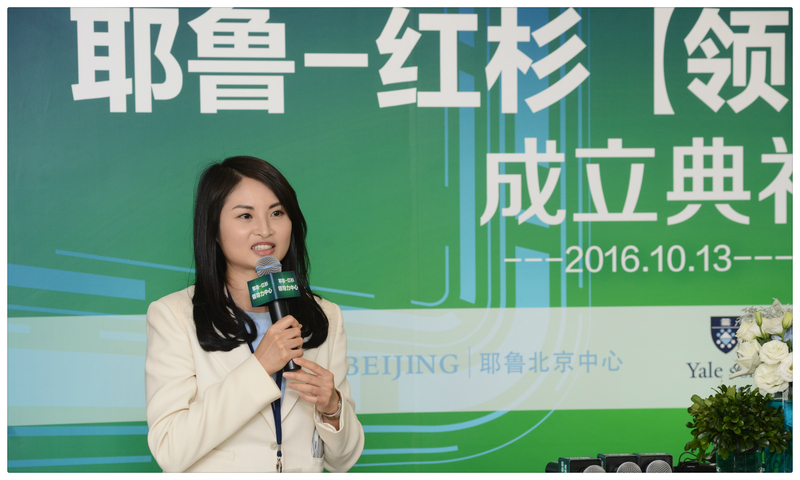 This initiative also exemplifies Sequoia Capital China's fundamental commitment to be the Entrepreneurs Behind the Entrepreneurs. 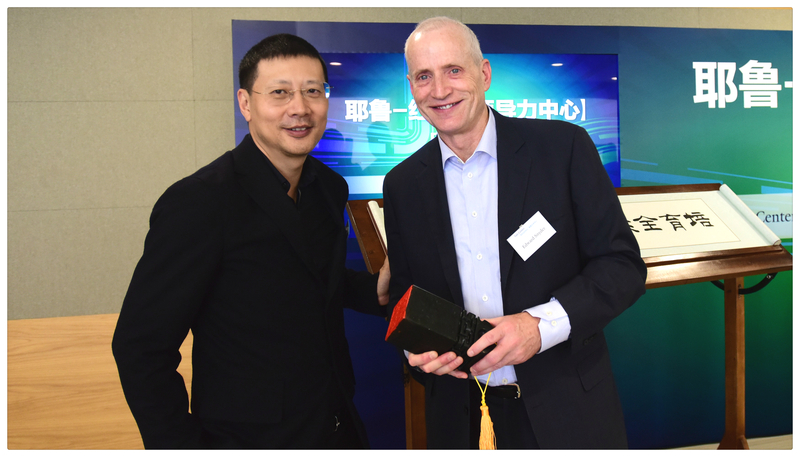 The inauguration of the Program was held at the Yale Center Beijing, with Edward Snyder, Dean of the Yale School of Management and Neil Shen, Founding and Managing Partner of Sequoia Capital China as the keynote speakers. This program is unique and pioneering in that it will provide participants with global and multidisciplinary insights into the Chinese and Western entrepreneurial experience and business practices. During the inauguration ceremony for the program, Neil Shen and Luo Zhenyu, founder of Luogic Show, and Lang Yongchun, the former CCTV anchor and Senior Vice President of Zhaogang.com, shared their perspectives on entrepreneurship and leadership. Drawing on the experiences of Premier League legend Sir Alex Ferguson, they conducted a lively discussion on "Whether Leadership Means Control" and "How to Manage Star Players". The first module of the program The Logic of Business and Finance, will be taught by Zhiwu Chen, Professor of Finance and Economics of the Yale School of Management. This module aims to develop entrepreneurs into strategic thinkers who have a nuanced and deep understanding of the past, present and future, and help them become innovative leaders who can tackle complex problems. "As we enter our 5th decade, the Yale School of Management is now ranked among the top global business schools according to the Financial Times' 2016 rankings. There are many synergies in this partnership. The Yale SOM – Sequoia Capital China Leadership Program will draw on Yale's and Sequoia Capital's wealth of resources to groom exemplary, global entrepreneurs." said Edward Snyder, Dean of Yale SOM. "With the backdrop of an increasingly complex global environment, it is now more important than ever to develop a generation of business leaders in China who can adapt to the new dynamics of the market." 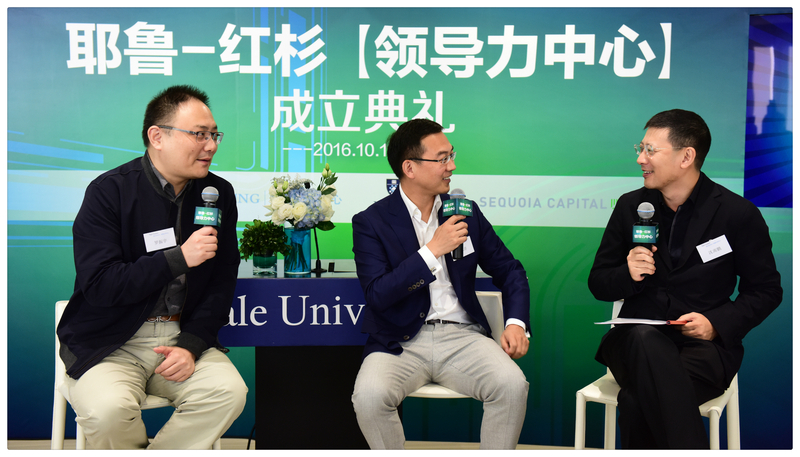 Mr. Neil Shen, Founding and Managing Partner of Sequoia Capital China and a Yale alumnus commented, "Sequoia Capital China, as a long-term value-oriented investor, is highly committed to investing in the growth and success of our portfolio companies. In recent years, we are seeing a burgeoning demand among Chinese entrepreneurs to advance their knowledge and leadership skills. Today, we are thrilled to announce the partnership with Yale SOM and sincerely hope that the program will offer the entrepreneurs the tools, skills and support they need to tackle the complex leadership and management challenges associated with starting and growing a successful business in the dynamic and ever-changing global marketplace. The launch of the Program is also a testament to our longstanding mission and vision since our founding." 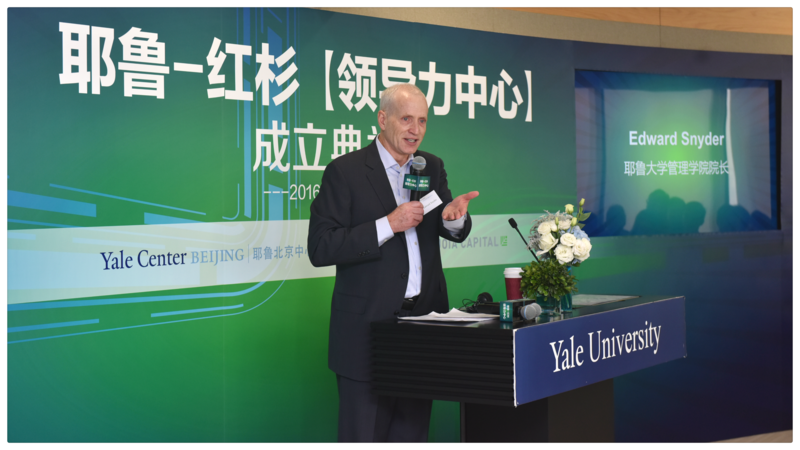 "We have long admired Neil Shen's strategic vision and are grateful for his support in funding the Yale Center Beijing, which was launched two years ago. We at Yale University have had a long-standing commitment to cultivate leaders from diverse backgrounds from around the world. The Program serves as an example of how the Center has become an intellectual hub for developing future leaders." said Carol Li Rafferty, managing director of the Yale Center Beijing. "Today's launch is an important step toward providing a world-class learning opportunities for entrepreneurs to become successful global leaders." 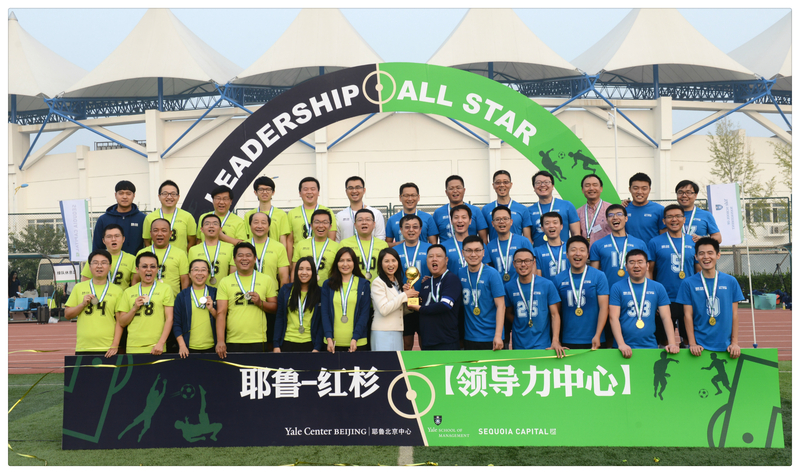 The Yale SOM – Sequoia Capital China Leadership Program is a one-year leadership development program hosted at the Yale Center Beijing. After completing the program, participants will receive the certificate of completion from Yale School of Management. The inaugural class were selected exclusively from the founders, CEOs and top executives of Sequoia Capital China's portfolio companies, with 43 participants from a variety of sectors including TMT, Healthcare, Consumer/Service, and New Energy/Clean Tech.